I have been here just over a month. I moved from FL and the Uptown staff made it incredibly easy. Friendly and quick to respond to questions. The location is fantastic and very walkable. Lots of variety in apt layouts. Quiet neighbors, clean hallways. Super dog friendly! I love it here so far and would recommend to a friend. Hi Celia, We are so ecstatic to hear all of your positive comments and we are so happy the process was easy for you! Don't forget about our resident referral program and let us know if you have any questions regarding that process. This is an Amazing location. You can Walk to everything. I really Love it. Anything you could possibly want to do is just right around the corner. Hey Noah, Thank you so much for the positive feedback regarding our location. We are happy to hear how convenient everything has been for you. Don't forget to stop by our next happy hour event and we hope you have a great rest of your week! First month has been great! Love the neighborhood, staff has been very helpful. Sound from the neighbors is minimum. Looking forward to the pool opening this spring. Hello Kevin, We love hearing all of the positive feedback from you! We are also excited for pool season, but until then, don't forget to stop by our resident events in the meantime! Have a wonderful rest of your week. AMAZING staff! Everyone I worked with made the moving in process completely seamless. I already feel at home here! Thank you for all the help so far. Hannah, Thank you so much for all of your positive feedback! We are so happy to have made your experience a great one so far. Don't forget to stop by our next resident event and keep a lookout for more updates regarding the renovation project! Very convenient location, great outdoor courtyards, pet friendly, and close to great businesses and restaurants. I would recommend this place! Hey Kalee, We are happy to hear about all of your positive feedback regarding the community and our location! Don't forget to tell your friends to list you on an application if they lease an apartment so you can get a referral gift. We hope to see you at one of our next resident events and have a great rest of your week! Move in process was simple and quick. Tara helped me out for months before move in and staff was prompt. I only give a 4.5/5 simply because my room smelled heavily of paint for a week after move in and it seemed as if some blimishes were just painted over instead of fixed. Hello Dennis, It's so wonderful to hear about your pleasant experience with Tara and I will make sure to personally thank her! We are sorry to hear about the smell of paint in your apartment as well as some of those blemishes you were unhappy with. Please contact us at the leasing office if you would like us to address these issues further. Have a great rest of your week and don't forget to stop by our next happy hour event! Gorgeous! Amazing amenities! Great neighbors! I'm so excited to be leaving here. I use the lounge and the gym all the time. I can't wait to meet people this summer at the pool! Hey Charles, Thank you so much for all the compliments regarding the renovation so far! We are so happy to hear how much you are enjoying the lounge and fitness center and we are also ecstatic to hear how excited you are for pool season. Don't forget to join us at the next resident event! Just moved in. Getting the apartment was pretty painless, and a pretty enjoyable experience. It seems to be a good community in a good part of town. Hi Wade, Welcome to Uptown! We are so happy to hear about your positive experience so far and we look forward to your residency. Don't forget to keep an eye out for updates regarding the renovation project as well as upcoming resident events! Love it here! The only issue is people are able to complain about noise that live by the pool. People who live by the pool should understand that they are going to hear noise and not be able to complain until quite hours ie 9-10 PM. Especially on a Saturday. Hi Trevor, We are glad that you love living here! It sounds like you have had issues with complaints in the pool area, please contact us at the leasing office if you would like us to address any concerns you may have regarding this issue. We appreciate your residency and hope to see you at the next happy hour event! Uptown has a very friendly staff and has been very attentive to any issues that have arisen. I appreciate feeling like more than another paycheck. Hello Zach, We are so happy to hear about your positive experience so far and I will make sure to thank the rest of team for you! We are glad that we have been able to exceed your expectations. We hope to see you at our next resident event! Very happy with the new courtyard and other improvements made to the building recently. Building fire alarms seem to have stopped going off regularly. Staff is always friendly and quick to respond to issues. Maintenance staff is always quick and informative when responding to issues. Hey Kevin, Thank you so much for all of your positive feedback! We truly appreciate your kind words and we appreciate your recognition of all of the efforts we are making. Don't forget to stop by our next event and have a wonderful rest of your week! I love the points i check my email all the time to find ways to make more points :-) Also like the challenges to build more points. Also the gift card selection is great. Hey Randy, We are so ecstatic to hear how much fun you are having with the Community Rewards points! Keep a look out for more ways to earn on our Facebook page and have a wonderful weekend! This is a good spot due to the location and affordability. Be careful with the staff - they may seem your friend, but if they are in your apartment one day and find something - they openly will tell all the other coworkers and actually talk noise about you as a person. But the apartments are in good condition and very spacious for the one bedrooms. Hello Michael, We are happy to hear your positive feedback regarding the apartments. I am sorry to hear about your issues with the staff and we would be more than happy to discuss this matter further if necessary since we want you to feel comfortable living here. Have a great weekend and we hope to hear fro you soon! Hi Jeffrey, We love hearing such positive feedback about our awesome maintenance team! I will make sure to tell them what a stellar job they are doing. If you would like further assistance with the laundry rooms, please contact the leasing office or stop by so we can further assist you. Have a great weekend! I wish my apartment had more updates before we moved in for the price we are paying. I like the court yard, it's the right size and doesn't get crazy rowdy. I really like the location of the complex and enjoy being in the downtown area. Hi Zoe, We are glad to hear the positive feedback regarding the courtyard and community location! I'm sorry you are not loving the interior of the apartment and if you would like to discuss any transfer options, please stop by the leasing office so we can let you know what premium units are available. Have a wonderful weekend! Love our loft and we’re looking forward to the upgrades coming to the INDI! We love living in such a unique, historical space and wouldn’t want to be anywhere else! Hi Linda, We are so happy to hear how excited you are for the new upgrades in the INDI building! Thank you so much for your positive feedback and we hope to see you at our next event. When things go wrong or changes within the community. ie (fire alarms go off in the middle of the night, lose power, etc) management does a great job informing the staff the next day. Hi Davanta, We really appreciate your positive comments! We do our best to always keep residents informed and we appreciate the fact that you are noticing. Hopefully we will be seeing you at our resident event tomorrow and if we don't, we hope you have a wonderful weekend! I love living in this community! The staff is always very helpful and friendly. I love the package delivery system, makes getting packages super easy. Hey Nicole, Thank you so much for your positive feedback! We are happy to hear how convenient the Parcel lockers have been for you and we love hearing the positive feedback regarding the staff. Don't forget to stop by our resident event tomorrow and we hope you have a wonderful rest of your week! We’ve been quite happy with our choice of community in Denver. In particular, Anthony and Tara have been very nice to deal with when we’ve had issues. Hi Joshua, We are so happy to hear about the great service Tara and Anthony has provided you and I will make sure to give them a big thank you. We hope to see you at our resident event tomorrow! Hi Joseph, We are so ecstatic that you plan to stay with us another year! We also love all your positive comments and I will make sure to thank the team for doing such a great job! We hope we will see you at our resident event tomorrow where we will be giving everyone a sneak preview of the newly renovated INDI units. 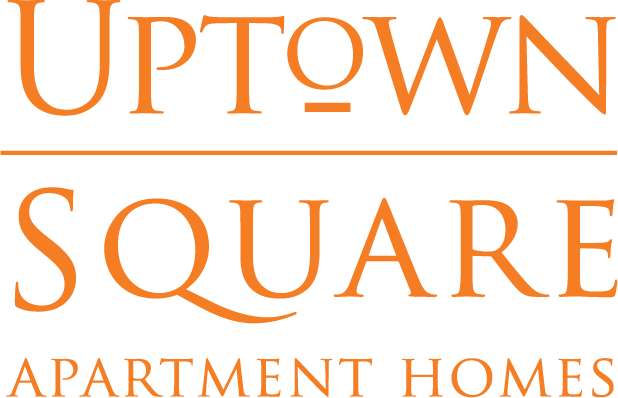 I have loved living at Uptown Square! The location is amazing and is at an unbeatable price. I've never had any issues with other tenants, trash, parking, etc. The maintenance team is also wonderful. They are quick to respond to issues we've had and are always friendly. Hi Deanna, We enjoy your wonderful feedback and are so happy we have been able to give you a great experience so far! I will be sure to thank the maintenance team for you since they have addressed all of your maintenance needs. Have a wonderful weekend! I live in building #6 I believe and it could use a weekly cleaning. the halls are dirty and the area by the mailbox is dirty. Please clean. Thanks! Hi Alecia, We are so sorry to hear that the cleanliness in building 6 is not up to par. We will make sure give that building a little bit more attention. Please contact the leasing office if there are any specific areas you recommend we focus on. Have a wonderful weekend! This has been a very wonderful place to live. I love this experience of having the urban life and having a very nice time. I like the uptown gym very much. Hello Raghavendran, We are overjoyed to hear about your positive experience and we are glad you are able to get good use out of the Fitness Center. Have a wonderful weekend!